Maybe you just purchased a new home and need help laying out your furniture? Or are you a DIY person passionate about design but need a professional's expertise for reassurance? Selling your home, maybe you want another opinion on what to change to get top dollar? Do you have too many ideas? We can help you focus on the best selections for your design goal. Are you trying to incorporate new items with existing ones? Are you working with a contractor/ builder and need a designer's expertise and the attention you need to make sure you have visited various options? These are just some reasons you might just need our help! Renovating a space is a great undertaking, but most importantly a great investment. When hiring an interior designer, you're not only investing in your home, but in the expertise that only an educated, experienced, and allied ASID designer can offer you. You want solutions to your design problems in order to simplify your life and enjoy it to the fullest. To support this endeavor, you need every room in your home to be in harmony with every aspect of your life, especially kitchens and bathrooms. Taking on design projects requires a great amount of time, talent, and energy- which, let's face it, you may not have in abundance! 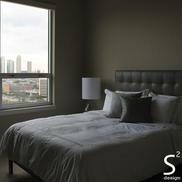 That's why S Squared Design is here: to help you create a space that expresses you and your lifestyle. 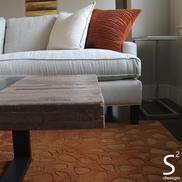 At S Squared Design, we offer the most innovative, functional, and stylish designs that work with your unique everyday lifestyle. 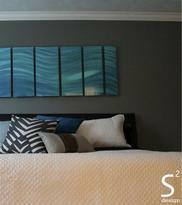 The trademark S Squared Design look is one that is modern and minimalistic, yet livable and inviting. This aesthetic is achieved by featuring geometric patterns, a neutral color palette, and often the juxtaposition of natural outdoor elements with man made ones. 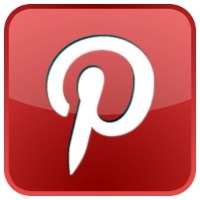 (Take a look at our blog and portfolio to see examples!) Whether it's a major renovation to your kitchen or bath, a face lift for your whole home, or decorating for the holidays, we are here to here to help so you can enjoy your home to its fullest potential. Clients and designers each have unique roles and responsibilities to uphold during the design process. While both client and designer are investing their time and energy into the project, it is our joint responsibility to communicate all ideas to each other: what you like and dislike, need or can live without. With your functional needs and style preferences in mind, the designer is responsible for creating a design. From the initial consultation through open communication during your project, the designer's focus is always on your satisfaction. 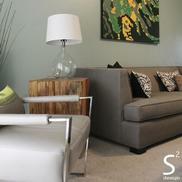 To find out what you can expect from S Squared Design services, keep reading! Before we meet in your home, please take a few minutes to gather photos, magazine clippings, website links, etc. that exemplify your ideal home design. Come prepared to share some of your personal style: perhaps certain appliances and fixtures, colors you'd like to see in your home, must-have furnishings, or even things you absolutely don't want. As for your current space, take note of what you'd like changed, removed, updated, added, etc. to discuss. You don’t need to bring pictures of your place in its current state- I’ll see it later! In order for your space to reflect you, I'll need to get to know you! Tell me all about your lifestyle: your hobbies, interests, family dynamic, pets, special needs etc. Once we've established a connection, we'll discuss the design process and a feasible budget. Sharing and discussing all these details help the designer better understand and meet your design needs. Proper scale and placement of each furniture piece is key. As well as that large island in the kitchen you have been dreaming of. Will it fit? We ensure you get the function out of the space you are working on. Size can make a break your room layout. Is that sofa too long and will it crowd the walk space? Let us help before you invest in that piece. Coordinating your flooring with your counters, backsplash, cabinet color etc...feeling overwhelmed? That is where we come in and help narrow down your choices to a manageable amount and together we talk through options and create an inspiring collection to apply to your project. Paint can be one of the most challenging things to select for your home, because usually there is a lot of it! Don't make an easy mistake, we will show you the true colors to make sure your house comes out like you imagined it. Exterior or interior sections, we can help with you find the pot of gold at the end of the rainbow! Need a helping hand to take you around showrooms? We talk through options and what is out there for you to consider. Maybe what you truly want is something you haven't seen or considered. Access "To the Trade Only" showrooms with us and be exposed to more options. After we've completed the initial consultation, a design contract will be written up that simply lays out the design schedule and service fees that you can expect. Arguably the most important stage of the process, this ensures that we're all on the same page and can hit the ground running! After the contract has been reviewed and agreed upon by both parties, the funnest part begins for the designer: designing of course! Beginning with a conceptual design, the designer draws the space planning in CAD to ensure all elements fit correctly, as well as selects larger furnishings and preliminary fixtures. To develop the conceptual design into a full, completed design, the designer shall choose materials, based on information you, the client, provides. The material selections, such as tile, wood, countertops, textiles, wall paint color, smaller accessories, etc., whatever the project scope entails. Here, we will also give you an estimated project budget and schedule so everyone is realistic about the expectations of the remainder of the project. Before any ground is broken, we'll need to meet again in person to hash out the details. 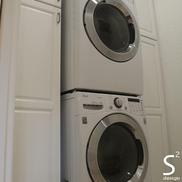 At this time, the designer will present the entire design to you: from space layout, selected fixtures, materials and finishes, to smaller details such as cabinet hardware, along with a list of item prices. You'll review the presentation, approving or making changes until you are satisfied with the design. Then, we'll work together to make the final adjustments and improvements before presenting the final design to your chosen Contractor.